Golden Tobacco is a blend of rich flue-cured tobacco, sweet yet spicy and nutty flavours of nicely roasted beans. 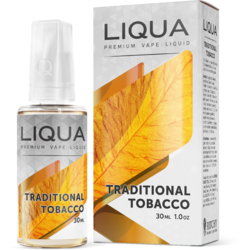 It gives you smooth vaping experience with clean aftertaste. Discover the modern China with these special tobaccos dated back from the golden dynasty age. Feel the classic, flue-cured tobacco leaf and the rich blended aroma. Just let the legends reveal themselves.